Flowering - June - December. Habitat - Marshes, swamp forests, alluvial woods, wet ditches. 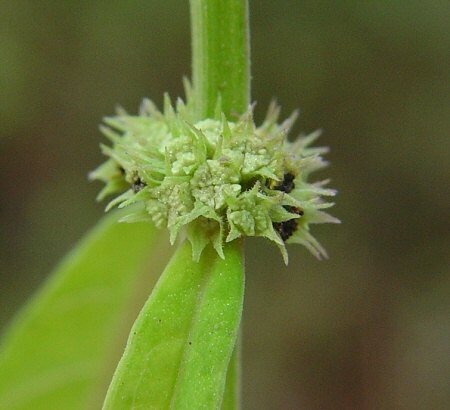 Other information - This species can be found scattered throughout most of Alabama and may be present in every county. 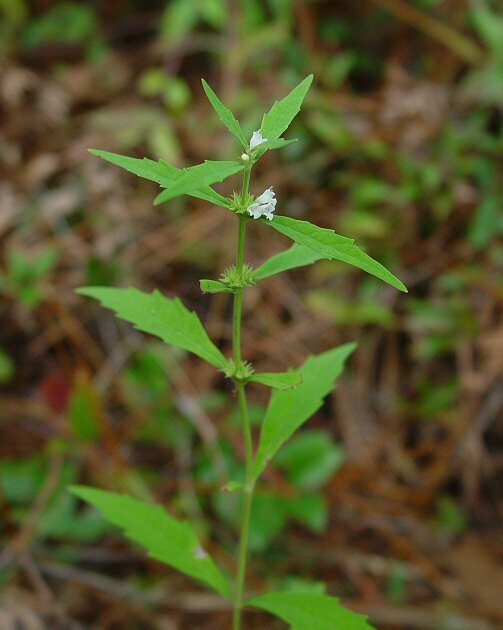 The plant can be identified by its toothed, tapering leaves, its 4-angled stems, and its fruits. 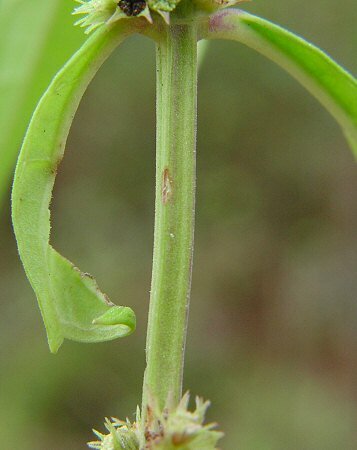 The fruits are shorter than the calyx lobes when mature (see calices photo above). 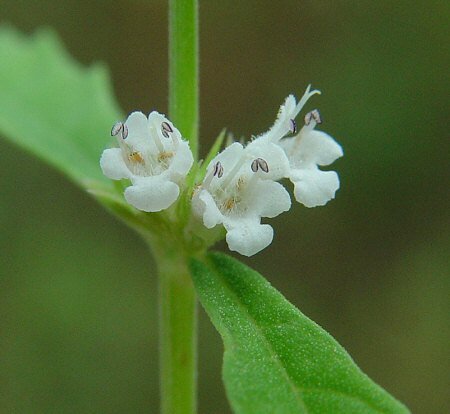 The flowers of this species are slightly larger than other species that resemble it. 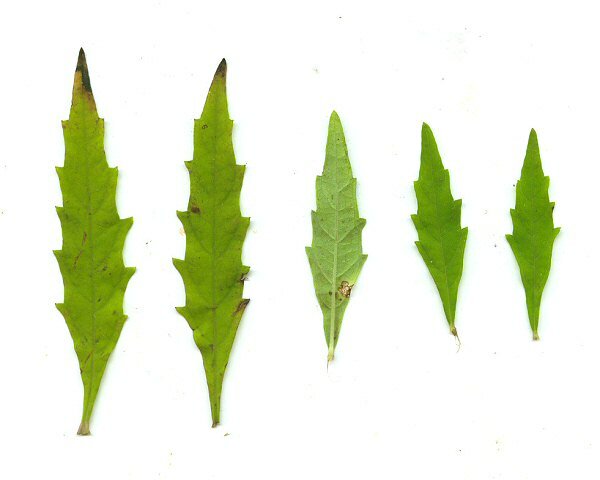 The genus name Lycopus derives from the Greek "lyc(o)" meaning "a wolf" and "pus" meaning "a foot" given becasue of the shape of the leaves in some way resemble the foot-print of a wolf or dog. The species epithet rubellus derives from the Latin "rube" meaning "reddish" perhaps for the stems in strong sun or the mericarps (fruits).